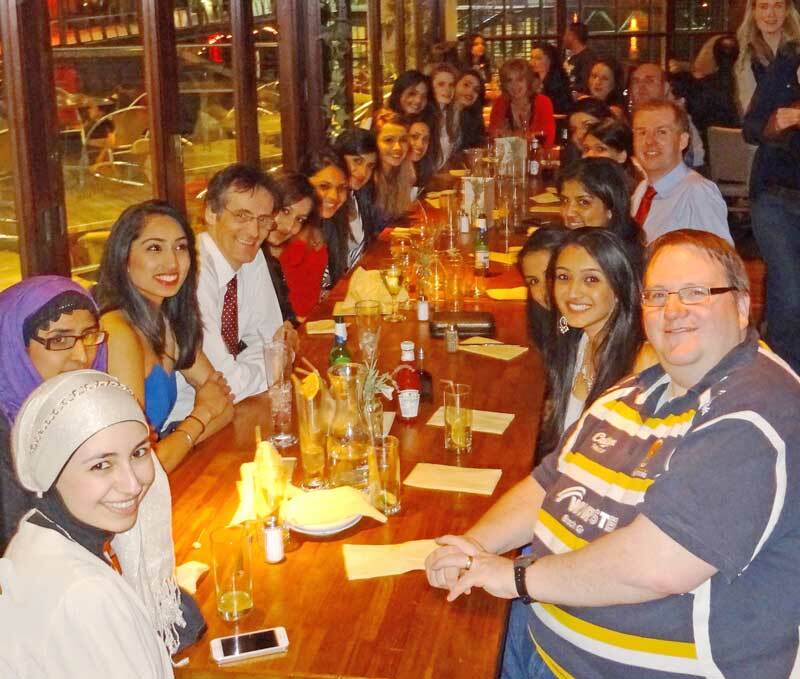 After a term of agony, torture and long nights in the medschool dungeons (also known as BASHD revision), Firm 4B decided to celebrate the end of what could be described as the hardest term of their BDS course by holding a firm dinner on Tuesday 8th April 2014. The location of choice was Red Peppers with many clinicians attending from all four corners of the Dental Hospital including Mr Roe, Miss Clark, Mr Mackenzie, Mr Tomson and the infamous Professor Lumley! It was a most enjoyable night where we had the chance to socialise with our clinicians and listen to lots of delightful stories about their student days. It was all going great until Prof Lumley whipped out an x-ray of a root canal giving us a mini viva (can’t complain we got extra practice for Finals) and testing our endodontic knowledge – luckily he had had a couple of drinks by this point!! 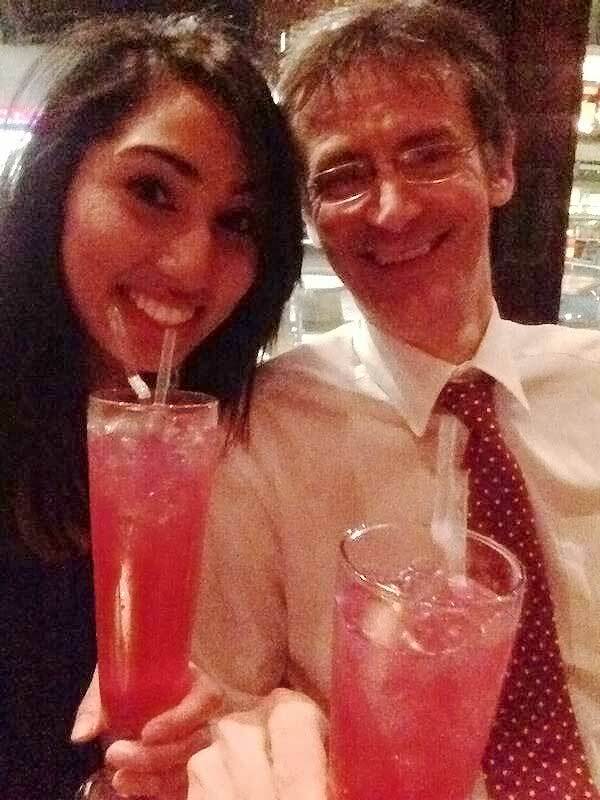 Congratulations to Bal for managing to get a “selfie” with Prof Lumley – when’s he doing a #makeupselfie? Thank you to everyone for attending! 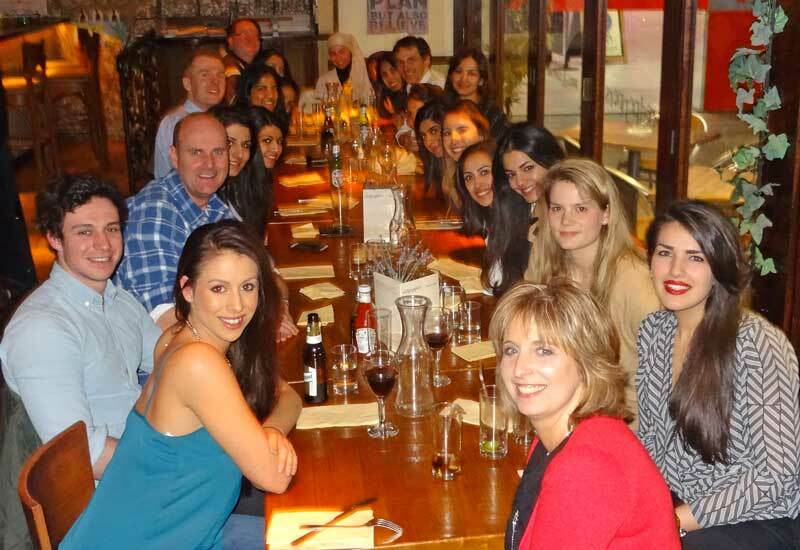 We’re looking forward to the next firm dinner where hopefully everyone will turn up on time including the clinicians! !